Lets take you on a really great adventure. Martin, Denis and Andy are here to help you go on a really great, two wheeled adventure! 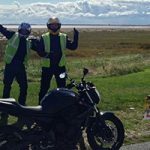 Over many years we have helped thousands of Furness and South Lakes folk to get going by completing CBT - the first step for riding. We've also helped hundreds more to earn their 'ticket to ride' on big bikes by passing their tests. We promise you well organised, high-quality rider training that meets your needs and gains that licence. We offer all levels of training and can put a course together that meets your personal needs. "Dennis, Martin and Andy got me through from cbt all the way to mod2 with great training and a good laugh, would recommend"
"Top class training by friendly top class guys I highly recommend Martin and Dennis if your looking at doing any motorcycle training look no further "
"A huge thankyou to the real rider team Martin, Denis and Andy who got me from cbt to a full bike licence in about 2 and a half WEEKS!! " "Massive thank you to Andy for today. Gabi finally passed her CBT. 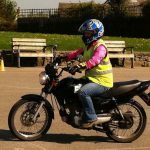 Huge achievement for her to overcome her fear and anxiety, and she couldn't have found a more encouraging and understanding instructor "
" Brilliant guys....both Martin & Dennis are really sound with a great manner & some sharp wit...not to mention excellent riding skills!!" 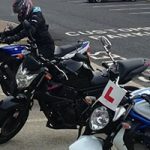 "I have had a amazing day with andy today, fun and full of information can't wait to do my mod 1 and 2 with these guys thank you for the experience"
" Big thank you to Martin and Dennis, excellent training and tuition ,enjoyed all the training, had a good laugh and met some good lads , can highly recommend them "